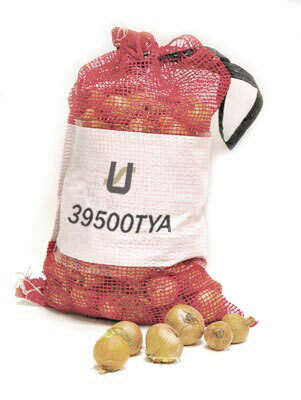 Union Special 39500TYA is an overedging machine for Seaming and Hemming mesh bags (net bags) of woven polypropylene (pp) or polyethylene fabric. 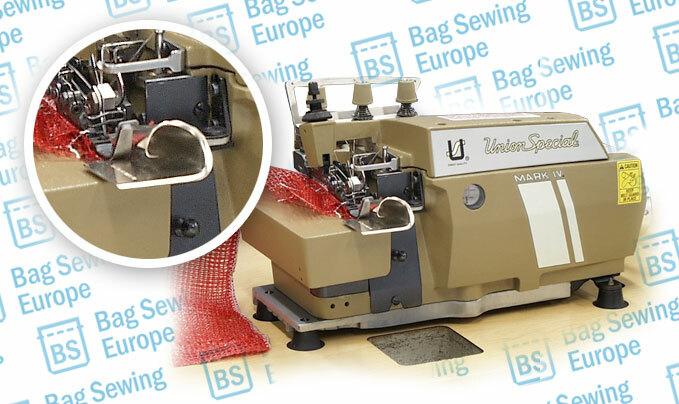 The Union Special 39500 TYA comes with a 8-9 millimeter folder which turns up and finished the net into a tight roll with a seam width of 7 millimeters. The Machine sports automatic lubrication of the internal parts, has a plain feed and a maximum speed of 5000 RPM. The stitch type is nr. 504.